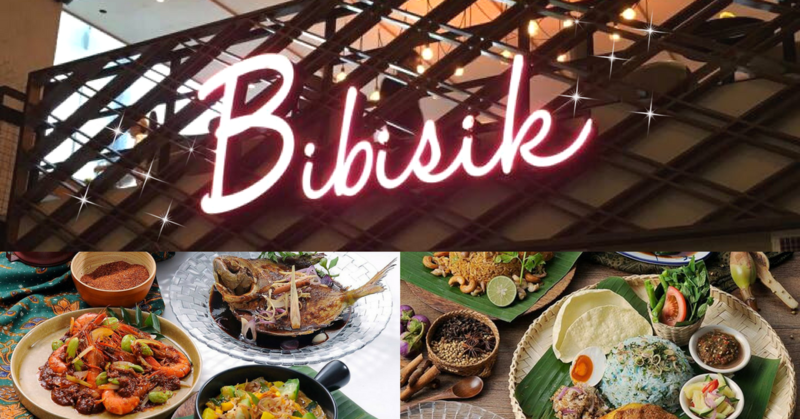 Bibisik: An Authentic Malaysian Restaurant Close to Our Hearts! Do you ever miss your grandma’s home-style cooking back at your kampung? Nostalgia kicks in when we had a taste of Bibisik’s authentic Malaysian cuisine! It’s true when they say good food is the way to one’s heart. Bibisik serves the best of Malaysian food and we gotta say, home-style cuisine has locked a special place in our tummies! This brewed three-layer-coffee is perfect for coffee lovers; the gula Melaka syrup is so fragrant too! These vegetable and prawn cakes are crispy on the edges, while spongy and light in the middle. Best eaten with its complementary thick peanut dipping sauce! Morning glory-infused rice served with fresh raw vegetables, salted egg, sambal fish kerisik, barbecued spiced chicken and papadom. Perfect for sharing, this Mamak-style fried noodles is a Northerners’ favourite; made with classic ingredients of yellow noodles, porawn fritters, firm beancurd slices, cubed chicken and choy sum! Savour to a happy union of stink beans and tiger prawns with just the right balance of spicy, sour, saltiness of sambal Mak Bibi. Steamed coconut rice served with homemade sambal for that spicy kick, peanuts and anchovies for salty crunch, acar for freshness and papadom for good measure! Served with braised chicken rendang. Also known as French toast, this sweet treat is served with peanut butter and strawberry jam, vanilla ice cream, Oreo crumbs and chocolate sauce drizzle. Bliss in every bite! For those who love variety especially when it comes to local food, Bibisik offers an affordable and extensive selections as both a la carte and sharing dishes are available, perfect for those who would like to swing by for a quick bite, or a full-fledged meal! Strategically located between of Puchong and Subang Jaya, Bibisik is situated inside of One City which is famously known for its sky park! Bibisik is also giving away vouchers of RM50 for 2 lucky winners!